eBakery – One stop destination for cakes! Today’s generation is known for risk appetite! Never before there was so much rush to start something on own and be a boss for oneself. The gen X has confidence, will power and thirst for doing something new than work on boredom 9-5 job. A lot of novel and innovative ideas are transforming into actions that are further budding into start-ups. Food is an evergreen product to sell and never an off-the-shelf requirement for any human being. The very reason of numerous opportunities and desire to try new gourmet foods by humans has given rise to Food startups in India. The advent of technology and ease of transacting made it possible to get any kind of food to any place at any time giving wings to food-tech companies. 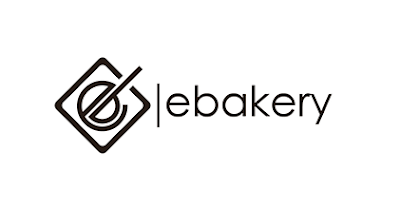 eBakery is one such startup started with an ambition to be “go to place for cakes and confectioneries”. This food-tech is started in Hyderabad, the nawab of food! As the name suggests eBakery sells bakery products, sorry delivers happiness in the form of cakes as per its co-founder Ravi Teja. Let’s find more about this venture, present status and future prospects from the chief happiness officer, a title given to himself for delivering happiness every day! They deliver cakes and confectionery items like pastries, cupcakes, muffins, brownies, homemade chocolates to their customers. Unlike other confectionery companies, they don’t have a physical store, they only have an online presence (http://ebakery.in). If anyone wants to order, they can do the same by selecting, customising the product in the site and making payment online. Many of the physical stores don’t provide high quality and fresh cakes. Most of them are 1-2 days old. Unlike them, at eBakery every cake is prepared only an order arrives. Thus, they don’t have old/dry/soggy cakes. They have fresh, tasty and soft cakes that come with un-compromised quality. Secondly, stores can’t make all kinds of 3D cakes or fondant cakes. They have the chief baker/chef of India’s best bakeries that had trained present store bakers/chefs. In a literal sense, they are Master Bakers/Chefs. eBakery has already started in Bangalore. They got a home-baker who makes premium cakes. They are scouting for other confectionery partners who can help catering all over Bangalore. So if you are in Bangalore then do try the affordable and adorable cakes! ← YePaisa – Got free time? Get paid for it!